Get hassle-free credible impact reports. Certified software for creating outcome and impact reports. Why impact reporting professionals love SAMETRICA. Tackle the full life-cycle of impact reporting. No more messing around with spreadsheets, third-party survey products, and ad-hoc reporting. SAMETRICA is an end-to-end impact reporting product with logic modeling, data collection, and cutting edge reporting. Save time, stress, and effort. When it comes to impact reports, there’s a lot of complexity and no room for error. SAMETRICA is easy-to-use (dare we say, even a delight?) and helps you get to the reports you need when you need them. Align with international data standards. SAMETRICA is one of three products to pass certification by Social Value UK. We are compatible with emerging data standards so that you can create reports that align with multiple reporting frameworks at once. Figuring out what indicators to use can be mind-bending. SAMETRICA’s artifical intelligence recommends indicator components to you. Get beautiful outcome reports based on verifiable data. 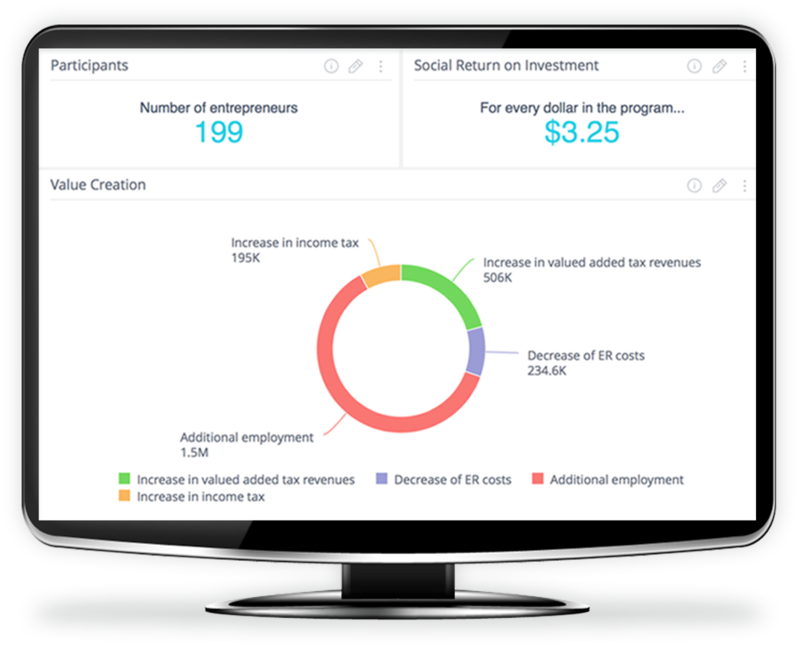 Get automated Social Return on Investment and outcomes reporting. Verify your data before sharing it with your team. Free ForeverFor programs that want to get started on data strategy and logic modeling. StarterFor adding ongoing outcomes analyses to your reporting. Organization For expanding outcomes and SROI reporting across your organization. Enterprise For funders, aggregators, or large organizations.